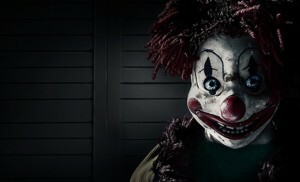 Halloween week is upon us and TDS TV on Demand has a slew of horror (and non-horror) films for your viewing pleasure. And if you’re not finding anything to your tastes, check out some of the Halloween inspired television shows, including “The Great Pumpkin,” “Ash vs Evil Dead” and the “Bones”/”Sleepy Hollow” crossover. Jake Gyllenhall dominates this gritty film as a boxer who must overcome tragedy to get his life back in order. The film is routine, but quite effective. Rachel McAdam co-stars. Available October 27. Sentimental film about a heroic military dog adopted by his handler’s family after returning from Afghanistan. There’s a routine crime story wedged into a moving tale about a boy and dog. If it sounds old-fashioned, you’d be right, but “Max” hits all the right notes and is perfect for the entire family. Available October 27. Aliens mistake classic video games as a declaration of war, setting up an invasion of earth by the very monsters found in those games (Pac Man, Donkey Kong, etc.). “Pixels” is probably best for nostalgia buffs as its original premise grows thin pretty quickly. Still, there are some enjoyable moments. Adam Sandler, Kevin James and Peter Dinklage star. Available October 27. Creepy, unnerving, edge-of-your-seat thriller about a young couple (Jason Bateman and Rebecca Hall) who are stalked by Bateman’s old high school classmate (an excellent Joel Edgerton, who also wrote and directed). What could have been a routine flick is taut and effective in true Hitchkockian form. Available October 27. Outstanding film about the five-day interview between Rolling Stone reporter David Lipsky (Jesse Eisenberg) and novelist David Foster Wallace (Jason Segel). There’s not really a whole lot of plot, but “The End of the Tour” is an insightful examination of two very smart and intriguing people. Available November 3. Pixar’s latest original offering is another classic. A young girl is uprooted from the midwest to San Francisco, and her ’emotions,’ voiced by Amy Poehler, Bill Hader, Lewis Black, Mindy Kalin and Phillis Smith, must help her navigate her complicated new situation. 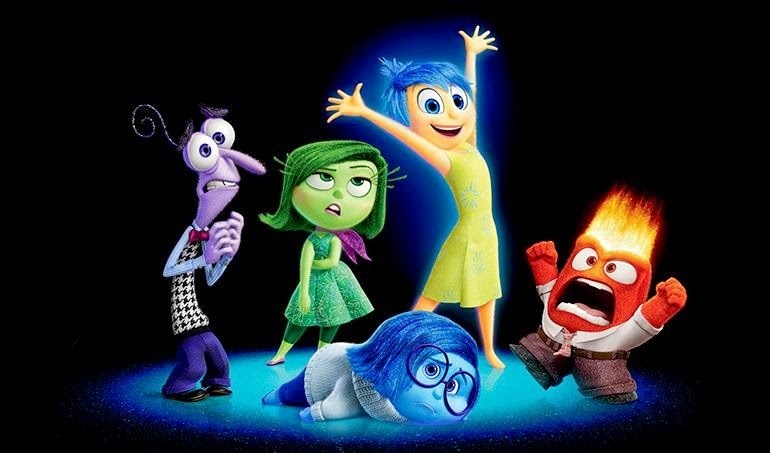 “Inside Out” oozes with humor, drama and originality. Available November 3. An uneven continuation of the classic “Vacation” story starring Ed Helms and Christina Applegate. A grown up Rusty Griswald (Helms) decides to take his family to Walley World to rekindle his relationship with his wife and two sons. It’s quite rude and crude, as well as predictable, but the leads are fun and the laughs keep coming. Available November 3. Looking for something on the creepy side for Halloween? TDS TV on Demand has a host of horror movies to fill your weekend. Evil forces take a young girl captive in this remake of the 1980s classic. 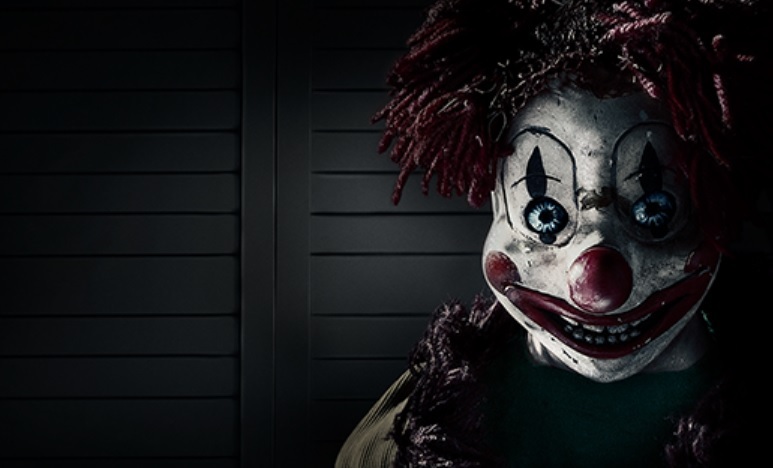 And let’s face it – the clown is seriously creepy. Sharks in a lake? It’s more believable than a shark in a tornado, so just sit back and enjoy this tale about a shark terrorizing a resort town. Clever sendup of slasher films. A young girl is dragged into the world of her late mother – an actress who specialized in horror films. Smart and funny. Chapter 3 of the “Insidious” franchise still delivers the chills. Satan has possessed a girl. Call in the priest and the exorcists for a classic good vs. evil tale. A sci-fi/horror film about a young man who fights to save those he loves before a virus consumes him. During a play many years ago an accident resulted in a death. Now, 20 years later, revenge is the main act. If you favor thrills (but still fancy a few scares), check out the latest in the “Jurassic Park” series. 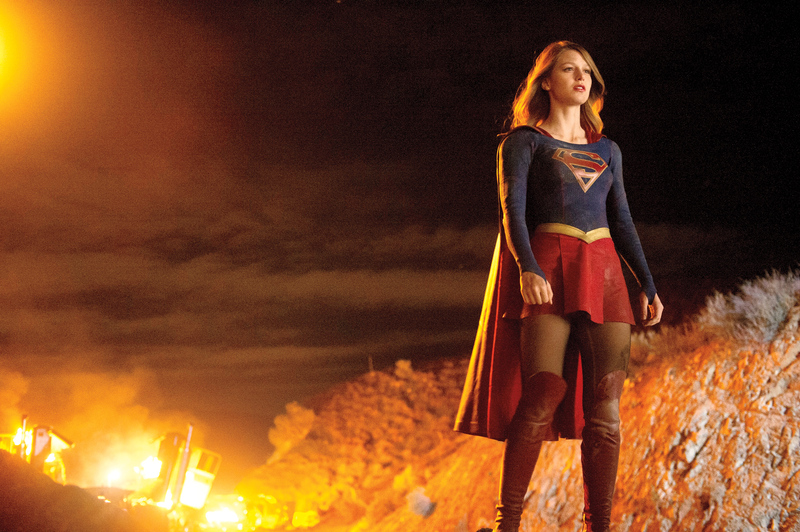 Former “Glee” actress Melissa Benoist dons the red cape and dives into primetime television as the first female superhero star in 40 years (Lynda Carter as Wonder Woman, if you were wondering). The show is being produced by the team that made “The Arrow” and “The Flash” – two of the most successful comic book adaptations in recent memory. Calista Flockhart and Mehcad Brooks co-star. Monday, October 26, CBS. Two cops track down a serial killer haunting Los Angeles circa 1982. Ed Westwick is the serial killer, Jeremy Sisto and Gabriel Luna are the police officers. Tuesday, October 27, ABC. Just in time for Halloween, the PBS series takes a look at everyone’s favorite undead monsters – vampires. Tuesday, October 27, PBS. The fall classic begins with game one of the World Series as the Kansas City Royals battle the New York Mets. Tuesday, October 27, Fox. The “Bones”/”Sleepy Hollow” crossover is here. Ichabod and Abbie get involved with the folks at the Jeffersonian when a 200-year old skeleton of a British general shows up. Happy Halloween! Thursday, October 29, Fox. No Halloween season is complete without a visit from Charlie Brown and the gang. Still one of the best and most enduring cartoon classics. Thusday, October 29, ABC. Fire up the chainsaw for the best treat of Halloween. The cult-classic “Evil Dead” films get a 10 episode treatment – complete with copious amounts of blood, gore and twisted humor. The new series picks up 30 years after the films, with Ash (Bruce Campbell) facing a new plague of monsters that threaten to destroy humanity. Groovy! Saturday, October 31, Starz. Sean Bean is back for another season as FBI agent Martin Odum, an expert at deep cover operations. Last year’s inaugural season was one of the year’s best mysteries. Monday, November 2, TNT. Funnyman Aziz Ansari stars in this loosely autobiographical sitcom. On 10 episodes will drop onFriday, November 6, on Netflix. Fans of the BBC’s “Sherlock Holmes” can rejoice at the announcement of a Holmes’ special to air on January 1, 2016. 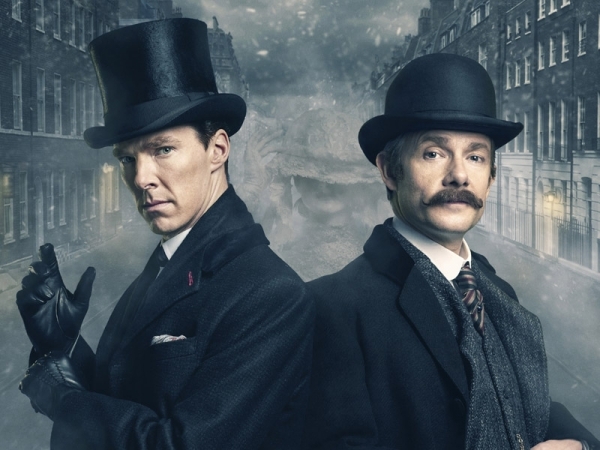 “Sherlock: The Abominable Bride,” starring Benedict Cumberbatch and Martin Freeman, will take place in Victorian England. Two freshman dramas, Wesley Snipes’ “The Player” and Don Johnson’s “Blood and Oil” will wrap after only 9 and 10 episodes, respectively, an indication they will not be back next year. E!’s “I am Cait” has been renewed for a second season.